We can say it without boasting: for 50,000 years the Limousin has shown originality and identity. The properties you will find in my portfolio are located up to 20 miles west of the regional capital LIMOGES, a city surrounded by greenery. In the Vienne Valley near the Monts de Blond, nature is supreme. In an area of woods, paths, pastures, hedgerows, creeks and lakes, everything is in harmony to compose rustic landscapes, pastoral and animated by the friendly presence of cows, sheep and horses, painted in an English style. This pure and unpolluted beauty, the positive side of light urbanization, still breathes the preserved peace. The country has many old churches, houses and peaceful villages and one after visit you will hunger for walks, fishing trips, golf, mushroom picking, cycling or horseback riding. However, LIMOGES is not far away, this modern and secure city offers restaurants, museums, old alleys, the art of fireworks and porcelain, a sports town with among other things a basketball team with an international price list, a renowned health service. A crossroads: 3 hours from Paris or Toulouse, 2 hours from Bordeaux or Clermont-Ferrand and daily flights to and from the UK. Not far from everything. Born in the North of France, I was won over by the Limousin more than 35 years ago. After several holidays, my family and I moved to the country of the Val de Vienne, a friendly and welcoming region west of the capital Limoges. During all these years, I have acquired a good knowledge of this region and its inhabitants and I have the chance to share it with you. I live 6 or 7 miles from the airport, with it's connections to the UK and not far from LIMOGES. During your visit, you will feel great, thanks to the quality of life in this unique place. As they say here:"Shabatz d' entrar" "Come in - you are very welcome". Incredible modern property 2 interconnected perfect buildings. Indoor pool, massive garages, great location. Tranquil. Fabulous property comprising of two linked houses. The first property built in 1987 has . 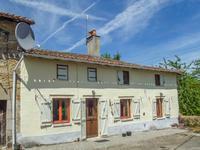 . .
Farmhouse comprising three bedrooms, kitchen/diner, bathroom and separate toilet. The house is in need of modernisation. The farm is mainly a cow farm with 90 acres of farming land. 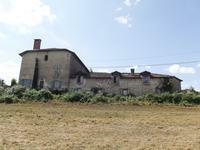 A 3 bedroom renovated stone farmhouse with 2 private airstrips and 12 hectares of land. This is a fantastic opportunity to buy a house in the countryside where you can land your own . . . This place is amazing!! 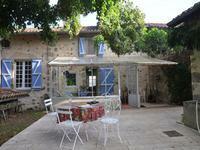 It has been used as gites and long term rental in the past and has . . . This property, in perfect condition, is in two sections; the first 1860 Neoclassical and the . . . Wonderful manor house property currently set up as a bed and breakfast business. Nine bedrooms, most en-suite. Second house in grounds, currently rented out. 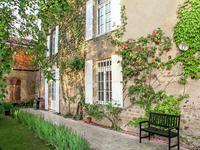 Character property set ion high ground in the market town of Confolens, offering views over a . . . 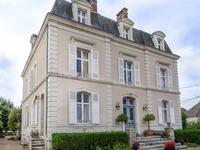 Exceptional potential of this historic residence at the gates of LIMOGES, 5' from the . . . 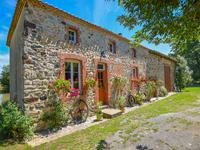 This 3 bedroom farmhouse with pool has been renovated to a high standard and sits in 7 . . .
A beautiful and historic building full of classical French character, currently run as a . . . PERFECT TO START A B&B This is a genuinely spectacular thatched impressive and imposing . . . 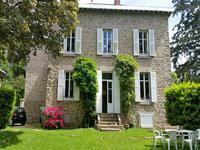 Very beautiful property of 1903, in perfect condition, ideal for a family and or a liberal . . . 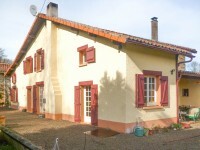 This combination of properties would be ideal for a smallholding and has an exisiting gite . 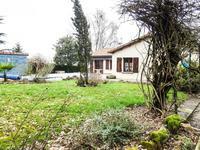 . .
Immaculate, modern, shaped plot, the property is wel back from the country road and accessed . . .
4 bedrooms, house of 2004 on 2 levels of 241 m² living space on a land fo 3 Ha. including 1 Ha of lake. Located 10 Kms. from LIMOGES WEST.absolute peace and quiet. 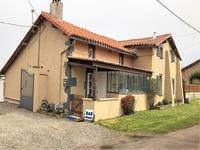 Heart of life, this property is located only 10 ' from LIMOGES and 5' from the international . . .
Five bedroom rural property with large private rear garden and land to the front. Outbuildings and a large garage,currently used as a carpentry workshop. Under forty five minutes to Limoges airport. This is a spacious property, and has plenty of . 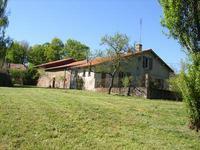 . .
Stone house built in 1949, perfectly renovated, 186 m² on 2 ha. 5 bedrooms, attached barn, outbuilding, swimming pool. 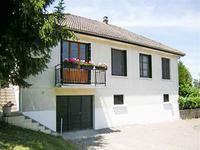 Ideal for a family or for guest rooms, close to the village and all its amenities, (schools, . . . Thanks to its geograpjical situation which is an additional asset, take advantage of this . . . Viewing recommended. 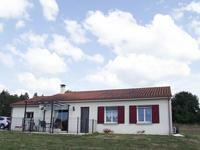 Beautifully renovated countryside property with land. Situated just minutes from a thriving community, this property is full of character and original features. Four bedroom property in an isolated area, close to a busy community. Renovated to a high . . . This house has been beautifully renovated and has been previously run successfully as a Bed . . .
Two bedrooms, with potential for three bedrooms, and full of original features. The property . . .
Property features a covered swimming pool, separate garage, double glazing with security . . . Recommended viewing. 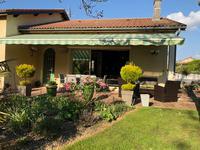 Beautiful villa in the heart of the market town of Confolens. Tastefully decorated in a contemporary style. Swimming pool, outside terrace area and conservatory. Three bedroom modern property with a mature garden, spacious parking area, with lots of . 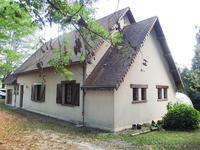 . .
Delightful House with 2 bedrooms with a fishing lake of 2 acres of potential business opportunity. Business oppotunity and paradise for fishermen. The house is renovated set in a 3.5 acres of . . . These beautiful stone properties are full of character and some of the main building dates . . .
NOW REDUCED AND REPRESENTING VERY GOOD VALUE -This is a well appointed large house sitting on . . .
**UNDER OFFER** Tastefully-renovated traditional longère-style farmhouse with lake and stables, set in 7 ha of grounds, ideal for equestrian use. 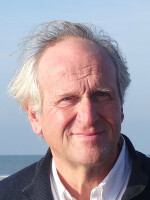 Charente. Residential house with upstairs a mezzanine and 1 bedroom. On the ground floor, a large . . . Very tidy grand sous sol property, with lots of space under the property providing plenty of . . .
Having been built over three hundred years ago, this presbytery would make a wonderful family . 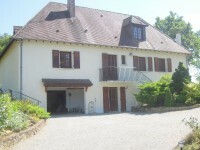 . .
3 bedroom detached house set in over an acre of garden near to the town of Saint Junien. This property offers plenty of accommodation and has a large garden bordered by a river. It . . .
3 bedroom sous-sol house with swimming pool and 1 bedroom guest house. Excellent opportunity to buy a beautifully presented 3 bedroom house with the added bonus of . . . Rural bed and breakfast property, with two glamping pods arriving soon. Covered swimming pool . . . This single storey house was built by the current owner in 1991 and has all the modern . . . Viewing recommended. 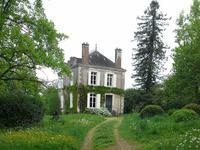 Historical character property near Roumazières Loubert. Three bedroom house with attached barn and land. An original toll house for a Roman bridge, this property has been tastefully renovated to a . . .
Three bedroom house, with room to expand further, within walking distance of amenities. Large area of land to the rear of the property. Orchard area to the rear. Substantial house in a well serviced village, not far from the riverside. Fully double glazed . . .
3 bedroom detached house with pool and garden. This detached house is in a quiet location, but within a short distance of the villages of . . . Private property with spacious rear garden. Sunrises to the front, sunsets to the rear. . . . 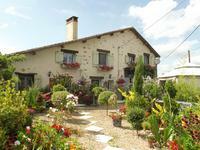 Situated halfway between 2 charming villages with a good amount of land is this lovely . 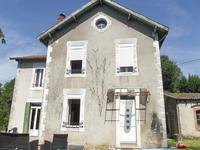 . .
Picturesque 3 bed stone country cottage, plus 1 bed gîte and barns with potential to expand. 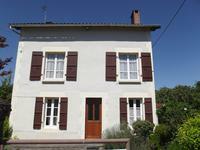 Really lovely character property on the outskirts of a small village with bakers and school . . . Wonderful opportunity to purchase a wooden property with countryside and river views in a well serviced village. Renovated 4 bedroom house on the edge of a village with scope for expansion. This 4 bedroom house has been well renovated whilst retaining original features, with exposed . . . Priced to sell. Substantial grand property, with scope to expand and business opportunities. . . .
*UNDER OFFER* Exclusive. Three bedroom house on the outskirts of a well serviced riverside village. Renovated to a good standard. Modern bungalow, fully double glazed, ready to move into house with private garden and patio . 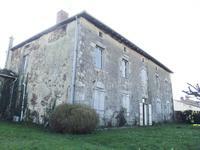 . .
Three bedroom country house with Gite potential and land. 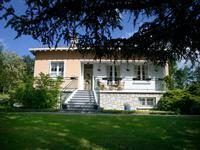 Renovated country house with living room, kitchen, three bedrooms (one ensuite) and a family . . .
Tastefully renovated property with countryside views, plunge pool, barn and plenty of . . . Wonderful opportunity to purchase an investment in the market town of Confolens. Three apartments and a shop for sale. One flat is currently rented out, with the other two newly renovated. The shop is also . . . This spacious 4 bedroom house is immaculate throughout and situated in the pretty village of . . . This bungalow offers excellent living accommodation in a quiet setting, near to a village . 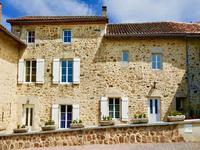 . .
Riverside property, a petit Moulin, not far from the pretty market town of Confolens. Lots of original features, with a stream running through the land. Riverside beach area to the edge of the land. Four bedroom character house with attached large garden area and further land offering . . .
A semi detached 4/5 bedroom house which has been renovated to a high standard. It has 2 large . . . Recommended viewing. Historic property over three floors, with three bedrooms and a dressing . . .
Well presented, four bedroom house with double glazing, central heating & mains drainage. . . . 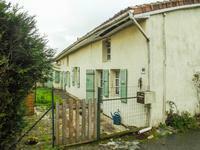 These two semi-detached cottages are in a hamlet just outside Mezieres sur Issoire. One house . . . This lovely property is within walking distance of amenities in Saint Junien whilst being in . 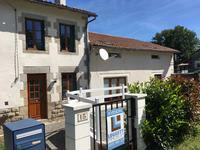 . .
Beautiful renovated house with 5 rooms, 91 m²livable, ready to move in immediately. 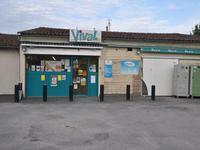 On 2100 m² constructible and an independent access. Possibility of extension. Ready to move in very well renovated modern property. In the heart of the pretty market town of Confolens, but in peaceful street. Low maintenance garden. With views to the surrounding countryside, this spacious house would make the ideal lock up . . .
Three bedroom character property, full of features after undertaking a full renovation, in a quiet hamlet. Large barn for business potential on land. 18th century property in a quiet rural location. Ready to move into with plenty of original . . .
Two minutes from riverside walks. Ready to move into property, with scope to expand under the . . .